Part residential, part hotel, Twelve Centennial Park presents high-end accommodations in a high-rise setting. This stylish structure provides for on-site parking plus a swimming pool and sundeck. In addition, the contemporary-style property also provides a fitness center plus a restaurant and lobby bar. Common features of the residences of Twelve Centennial Park include high ceilings and upgrades such as stainless steel appliances, granite countertops and wood cabinetry. The units also allow for oversized, private balconies, with direct access to public transportation in Downtown Atlanta. Many of the residences are one- to two-bedrooms, some with around 1,100 square feet of living space. 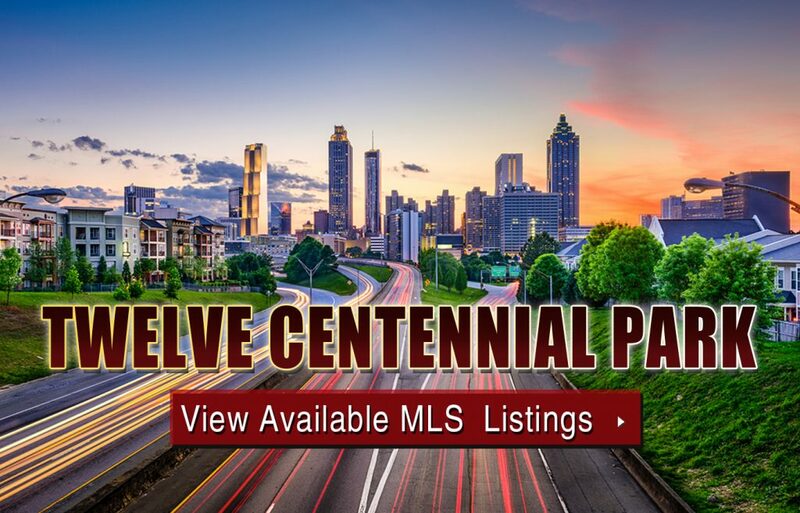 If you’re interested in learning more about Twelve Centennial condos for sale in Atlanta, or perhaps would like to schedule a private showing for an available unit at your earliest convenience, give us a call now! Can’t find what you’re looking for in Atlanta’s Twelve Centennial Park condo building? Start browsing other Atlanta real estate for sale or give the Zac Team a call at (404) 564-7200 for help with your new home or condo search today!